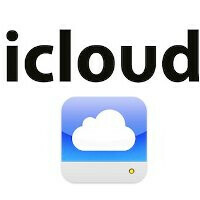 Apple has signed the papers with music label EMI over its upcoming cloud-based music service, possibly called iCloud, and labels like Sony and Universal are one step away from shaking hands over cloud licensing deals with Cupertino. Previous reports point out that Apple has already inked agreements with Warner, the last of the four major labels in the industry, rendering the company first with a nearly full support from the music industry. If Apple signs deals with Sony and Universal it will have a head start over competing services like Google Music and Amazon’s service without even having launched iCloud yet. In contrast, Google and Amazon were both reported to have only talked to the labels. Big G announced its own cloud-based music streaming at Google I/O a mere week ago, but pointed out that disagreement over the licensing fee required by labels has slowed down the process. So while Amazon and Google scored the first homeruns, it seems like Apple has turned the match over as it now can add virtually every feature it wants without going through Beta launches (a-la Google). In addition, the strong ecosystem that Cupertino has built around its products seems to be way on track to getting even stronger. Just when will it all happen? The speed at which the company moves hints that Apple’s WWDC forum starting June 6th might well be the date, so stay tuned.